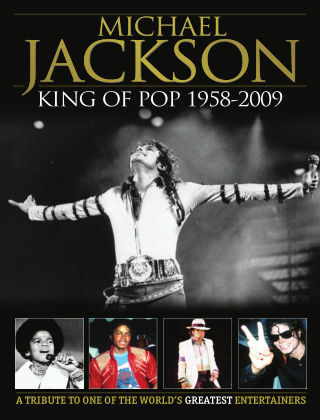 With Readly you can read Michael Jackson KING OF POP 1958-2009 - A TRIBUTE TO ONE OF THE WORLD’S GREATEST ENTERTAINERS and thousands of other magazines on your tablet and smartphone. Get access to all with just one subscription. New releases and back issues – all included. MICHAEL JACKSON took the amazing step from child star to the King of Pop. From his early successes with the Jackson 5 through to the phenomenal success of Eighties best-selling albums Thriller and Bad, Jackson became the biggest pop artist on the planet. Part of the new Mirror collection, ‘Michael Jackson – King of Pop’ celebrates his life through a selection of great images from the Daily Mirror archive charting his rise from childhood to the height of superstardom.